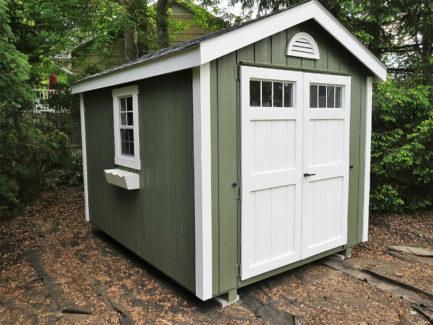 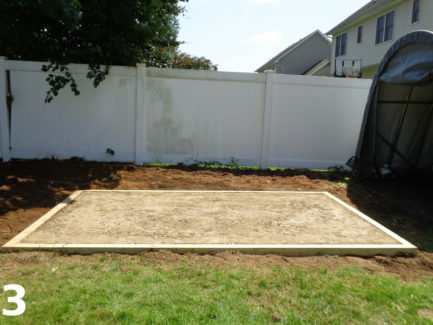 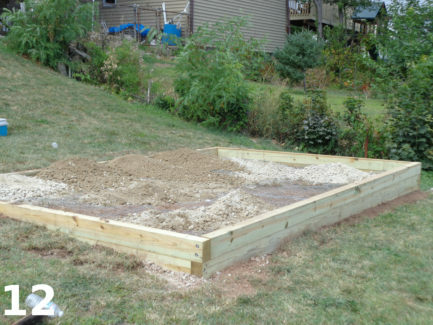 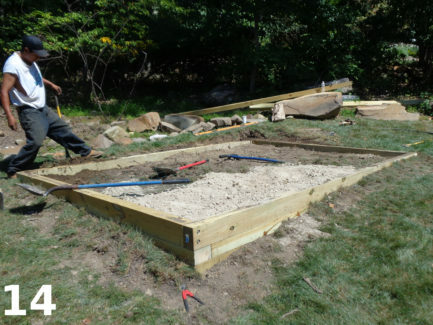 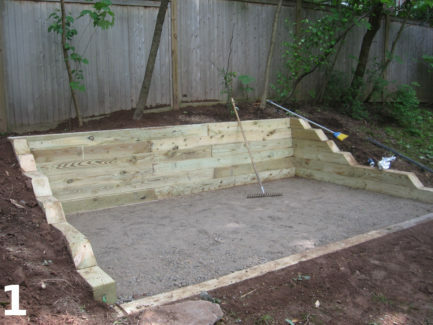 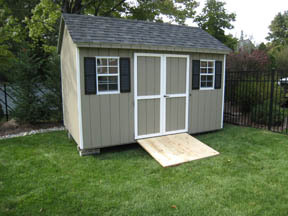 In order to be able to ensure the shed is on a stable footing it should not be placed directly on uneven surfaces (this includes grass, dirt or uneven asphalt) . 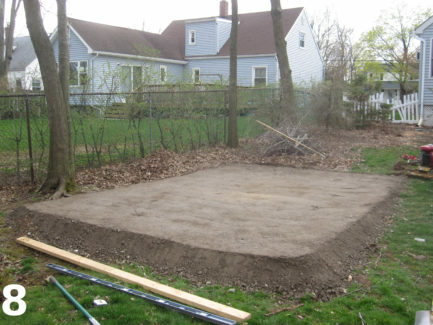 Some sites are limited in the options because of what must be done in order to make the site ready for the shed. 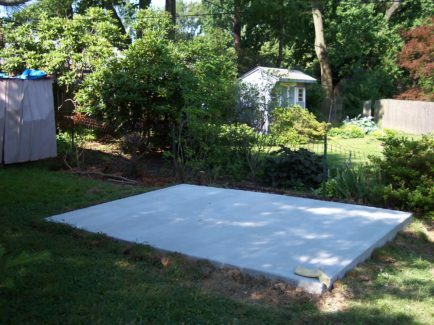 For sheds under 100 square feet and for fairly level areas we can level the shed using concrete blocks under the shed’s 4” x 4” supports. 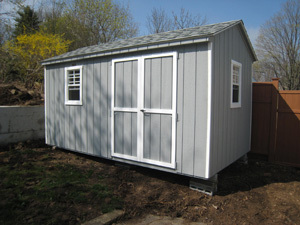 This will provide necessary support as well as level the shed. 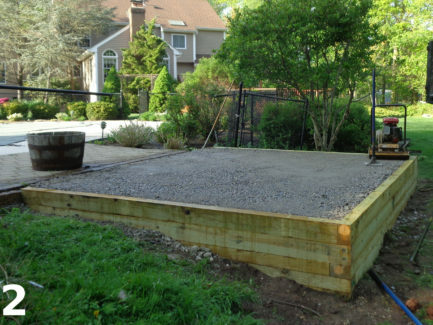 The tiers of block are placed under specific spots to support the building. 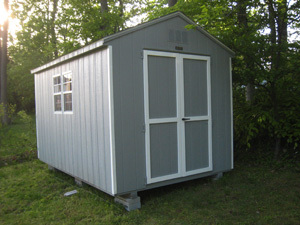 On the standard 8′ x 12′ shed (with 2 – 4” x 4” runners) there will be 6 individual support points when selecting this option. 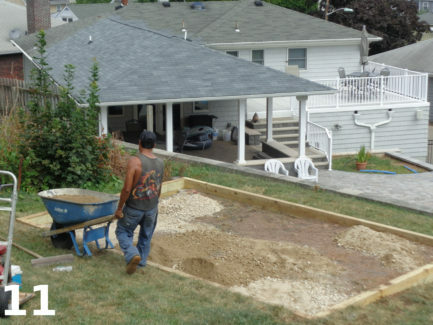 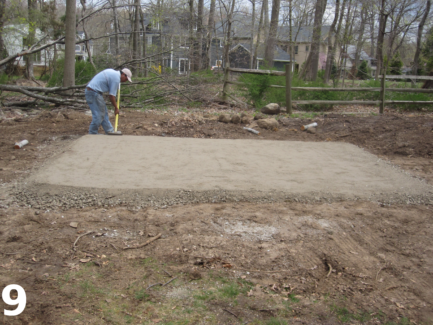 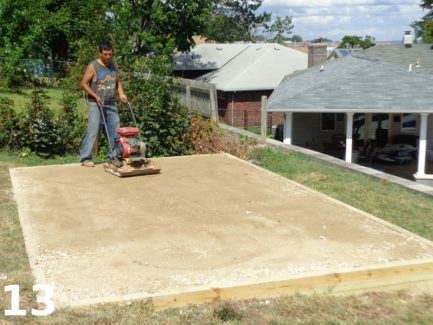 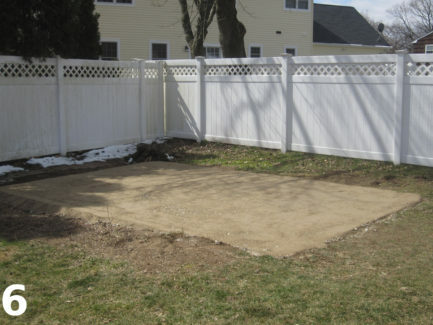 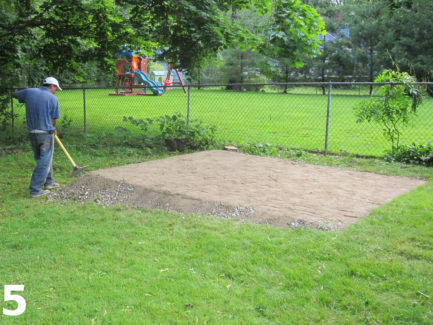 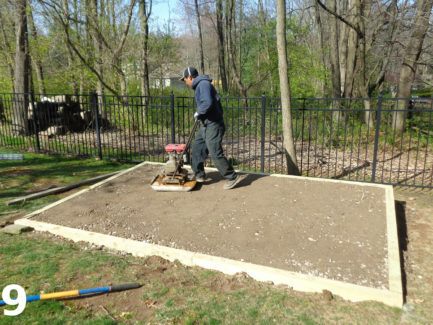 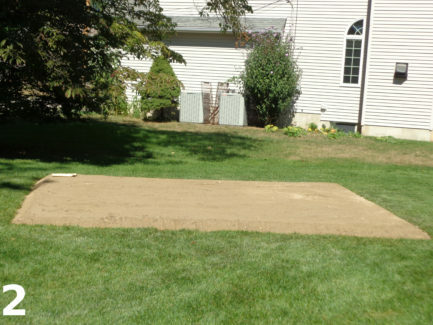 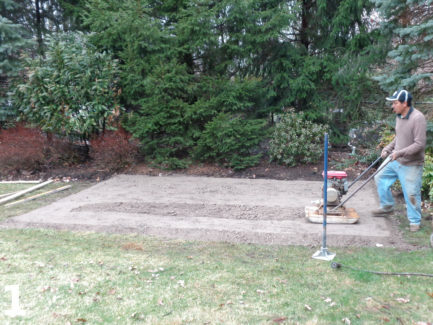 For customers that would like a better look, as well as more support we use RCA (Recycled Concrete Aggregate) compacted with a machine to form a level crushed stone pad for the shed. 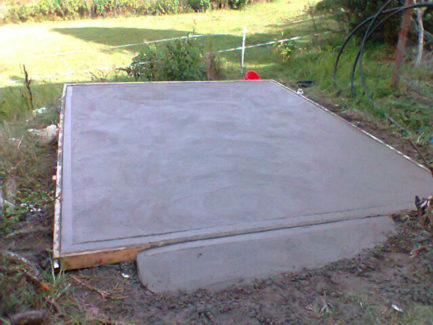 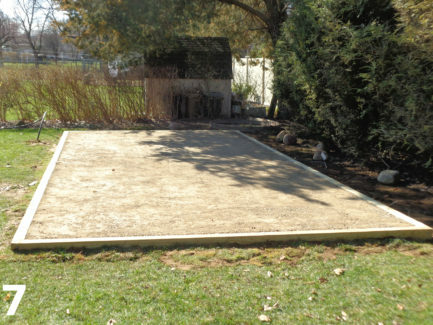 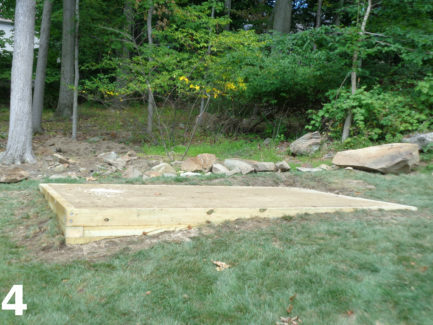 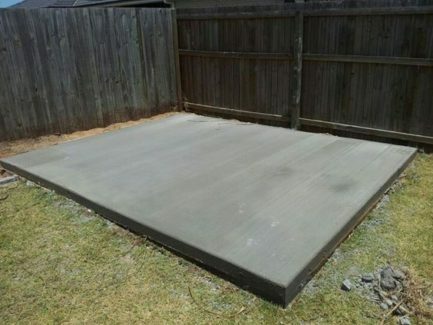 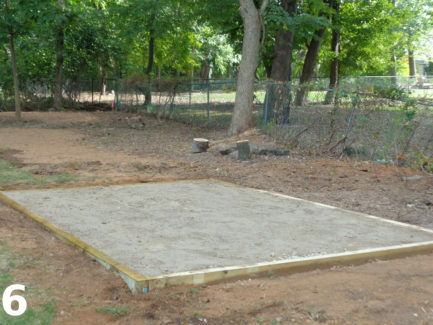 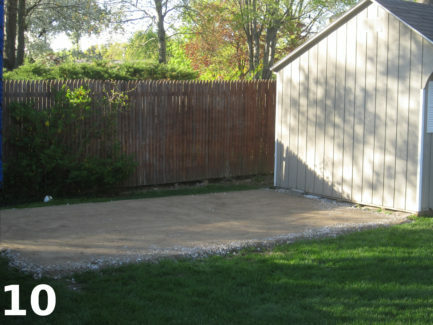 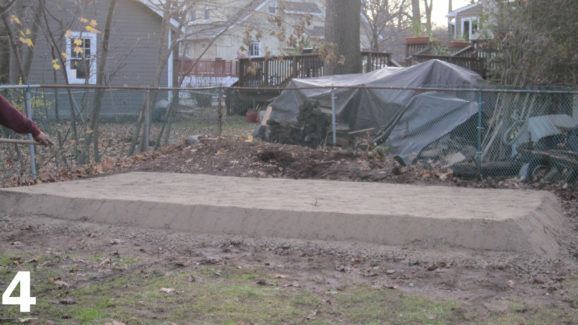 This provides a solid and durable foundation for the shed. 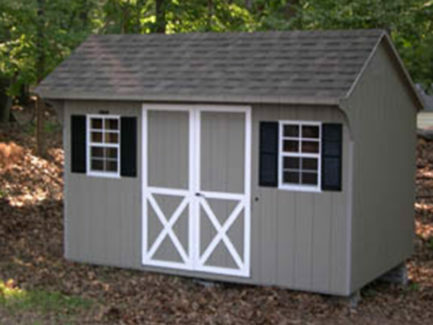 In addition this can help minimize animals from living under the shed. 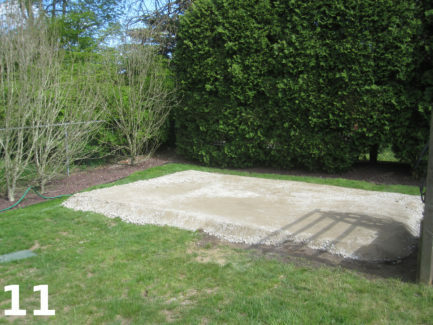 We can also add, for an additional fee,wire mesh in the compacted stone pad to prevent animals from digging though the stone under the shed. 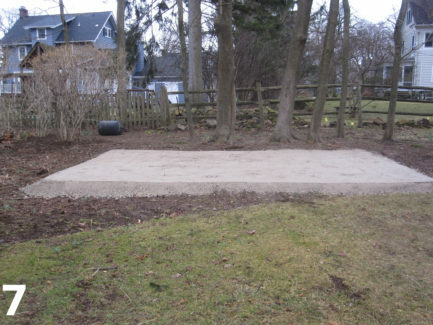 While you can reduce an animal problem you can not fully eliminate it. 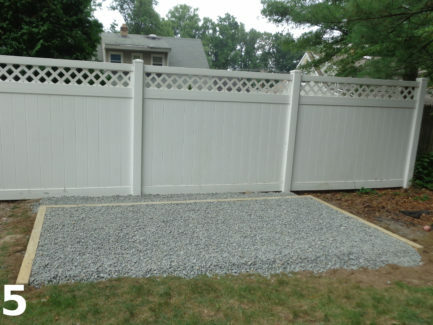 For individuals that prefer that the area to be more dressed up than a standard RCA stone pad, a wooden tie perimeter is a solution. 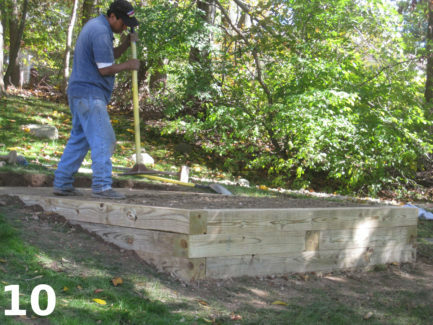 Some sites are so far out of level that wooden ties are required to cut into a slope, build up a portion or in some sites, both. 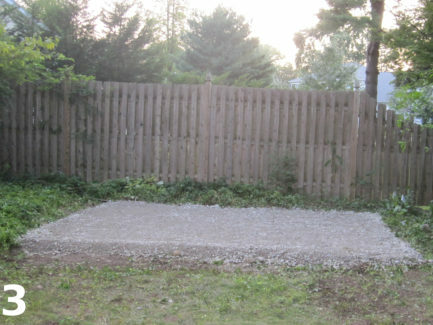 This option is more expensive then the basic site prep modifications. 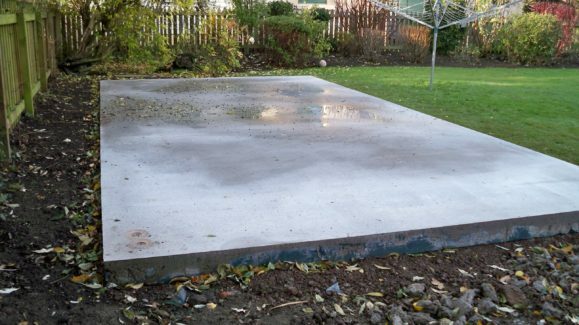 The final and most expensive option for site prep is a poured concrete pad or pilings.